Moses Short, a Revolutionary patriot and carrier of the Newburyport Herald for nearly half a century, was one of the attendees at the 50th anniversary celebration of our Independence in Newburyport. Moses raised his glass and spoke these words: "The Tree of Liberty watered by the blood of the Revolution may our children suffer no canker worms to injure its sacred leaves." 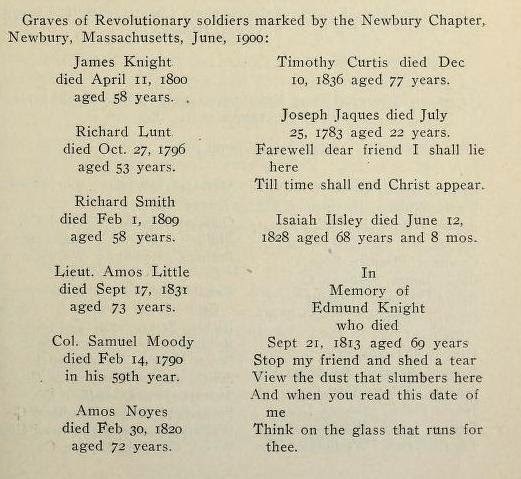 From DAR Lineage Book Ruth Isley Short and Abigail Short Born in Newbury, Massachusetts. Descendant of Moses Short, of Massachusetts. Daughter of Moses Short and Abigail Ilsley, his wife. Moses Short, (1760-1841), served as a private and received a pension. 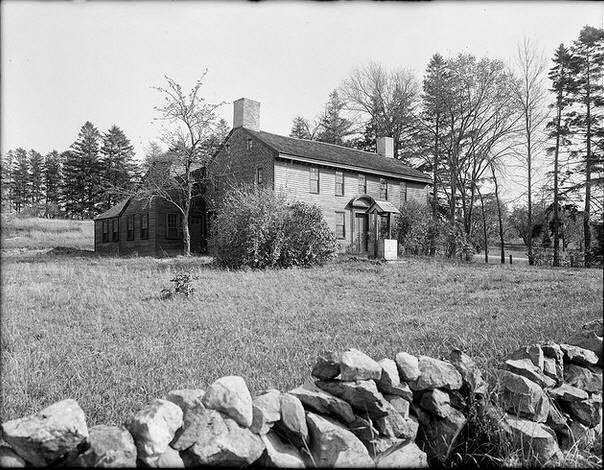 He was born in Newbury, where he died. Newburyport Daily News Thursday March 17, 1927 page 4 At Rest in Native Town The funeral of Miss Ruth Ilsley Short for many years a resident of Oldtown was held at the home of Mrs. Ruth Bradstreet in Rowley, where Miss Short had made her home for the past few years. Her death occurred Sunday evening March 13, aged 97 years, 8 months and 23 days. 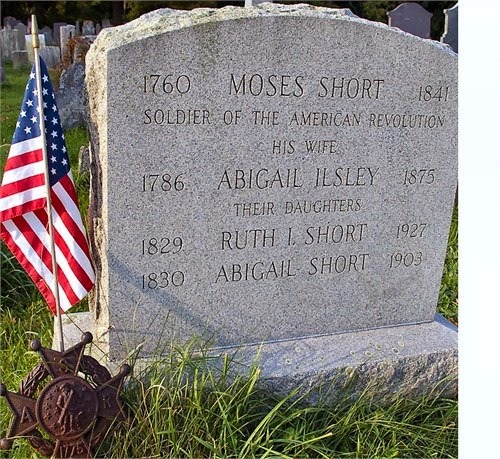 She was the daughter of Moses and Abigail Short of Newbury, he being a Revolutionary Soldier. 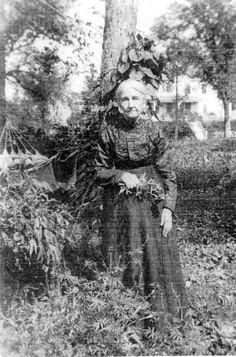 Miss Short was one of the very few remaining real Daughters of the Revolution. 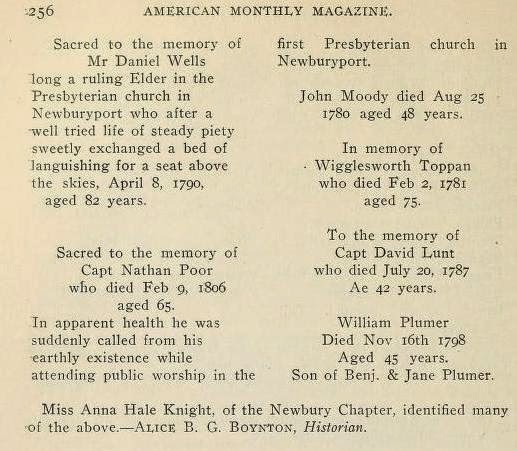 Her home was in one of the oldest houses in Newbury, at the corner of High Street and Rolfe’s Lane and she was the oldest in point of membership of the Oldtown Church, having united with it 73 years ago. 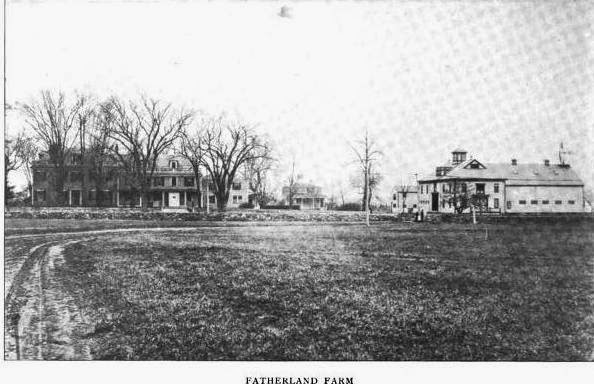 At one time in her life Miss Short was a teacher in the old school house that stood upon the Upper Green. Great work Melissa . Thanks for doing the research!